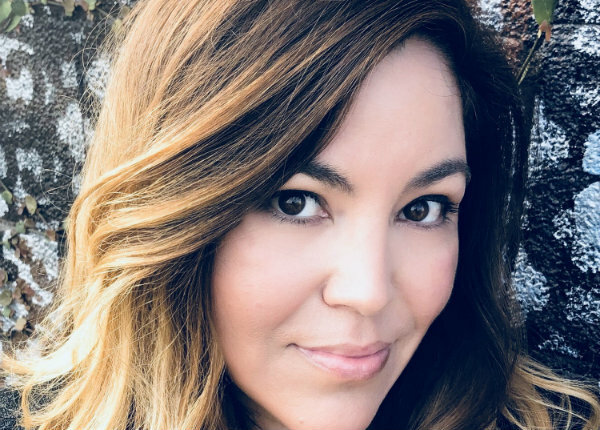 Havoc Content, a production company founded by veteran EP and producer Ed Rivero, has named Leslie Harro as its new executive producer. Harro, most recently at Double Wide Media, joins as a partner and brings with her a quintet of directors who add depth to the Havoc Content talent roster. Signing with Havoc Content are directors Svetlana Cvetko, Ryan Travis, Moh Azima, Luke Perkins and Marcello Lima. They join a Havoc directorial lineup that includes David M. Garcia, Matt Fife, Camila Zapiola, Fernando Livschitz and Paco Cruz. Harro has worked over the years in commercials and features, with stints on both the production company and agency sides of the business. In addition to freelancing prior to joining Double Wide, she’s also held producer or EP positions with Backyard, Big Block, Paydirt Pictures and Plum Productions; spent a year in the production department at Doner’s L.A. office; and worked with Sony on a number of TV series. Since coming aboard she’s EP’d projects for Five Star Notebooks out of digital agency Epsilon and a spot for Denver Health out of the Amelie Agency. Havoc also produced a series of web videos for the National Football League. Prior to joining Havoc, Cvetko was with Double Wide. Travis joins from the in-house marketing and production arm of the NFL, and is also represented in Italy by Indiana Productions. Azima joins from Vayner Media; prior to that he was with Vice Media, and has also been on the roster at Double Wide and Paydirt. Perkins is launching his career as a commercial director with Havoc, coming over from the agency side, most recently at North in Portland, where he was ECD. And Lima is an experienced South American talent whose work spans a range of techniques and categories; he’s on the roster at Havoc’s sister company, Cortez Brothers, as well as at Sao Paulo’s Sentimental Filme. In some respects, the directors Havoc just signed reflect the company’s founding ethos: Rivero established the shop so he could pair the right kinds of filmmakers with agencies and brands to handle almost any kind of project, budget-challenged or otherwise. It also allows him to expand beyond the Hispanic agency specialty of his already-established production house, Cortez Brothers. A third Rivero company, The Foundry, was set up to address marketers’ digital content needs for work produced on the lower end of the budget scale. Harro sees Havoc as working on more traditional broadcast assignments, “but our directors understand the times we’re in and the parameters we’re working under right now,” she noted. “What helps is that beyond our experience, we have a very multicultural roster, which I love. It gives us different perspectives and backgrounds to offer our, which puts us in a unique position. Cvetko has been hailed for her cinematography on high-end documentaries, including the Oscar winner “Inside Job” and the Oscar-nominated “Facing Fear,” as well as the narrative features “(Untitled),” starring Adam Goldberg, and “The Architect,” starring Parker Posey (2017. As a director she just finished shooting her first dramatic feature, “Foreign Exchange,” set to be released next year. Her first short film, “No War,” won the Grand Prix du Public in Films de Femmes, and her most recent short documentary, “Yours Sincerely, Lois Weber,” won Best Documentary at the L.A. Shorts Festival. A native of Northern California, Travis began his career directing action sports films across the globe and has worked with everything from small documentary teams to big-budget commercial crews. A complete filmmaker, he’s involved in every aspect of the creative process from conception through final delivery, overseeing most of his projects through final color correction and mix. He’s lent his visually-driven approach to work for brands like Audi, Fiat, Gatorade, Under Armour and Gillette, as well as the Italian motorcycle maker MV Agusta and the apparel brands Deus Ex Machina and Urban Decay. Azima made his directorial debut at Sundance with his short film, “Trapped In Freedom.” After a stint shooting music videos for artists like Interpol, Cold War Kids, Chromeo and Lenka – as well directing a season of “The Business of Life” for Vice Media – he entered the commercial world shooting ads for GE, Chase, Johnnie Walker, Olay, the Ad Council and many others. He’s spent the past two years as an in-house director at Vayner Media in New York. Perkins’ brings an extensive creative resume to his work as a director, having created ads for such brands as VW, New Balance, Volvo, Columbia Sportswear, Project RED, Cadillac, Puma and Clif Bar while at North and, before, that, Arnold Worldwide and Modernista! An art director by background, he brings an intimate understanding of both the agency environment as well as a deeper understanding of client concerns to his work as a filmmaker. Lima is a Brazilian filmmaker, writer and illustrator based in São Paulo. Drawn to filmmaking while in college, he moved to New York to study at The New School at Parsons, where he began to work with independent film crews. Back home in Brazil he began directing commercials and music videos, and has shot for such brands as Coca-Cola, Peugeot, Hyundai, Samsung, Netflix and Honda, among many others. In 2017 he joined the prestigious Brazilian company Sentimental Filme, and signed with Cortez Brothers in the US for Hispanic representation earlier this year.